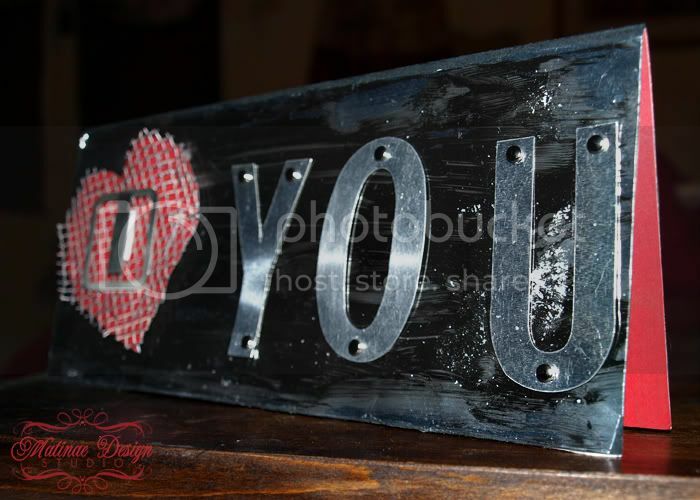 In honor of Valentine's Day, I wanted to blog three "love" themed projects that we have been working on! "Best birthday wishes to Christina! 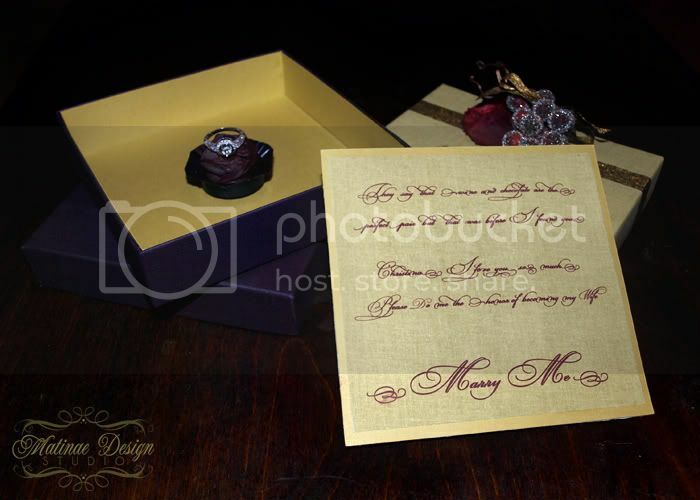 When Christina opened the box, she found the note from Josh that featured the words "Marry Me" at the bottom. 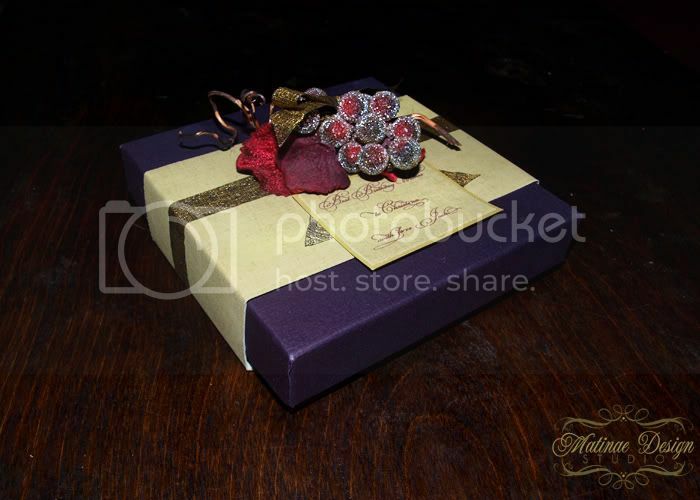 A single chocolate truffle with her ring were below the note. 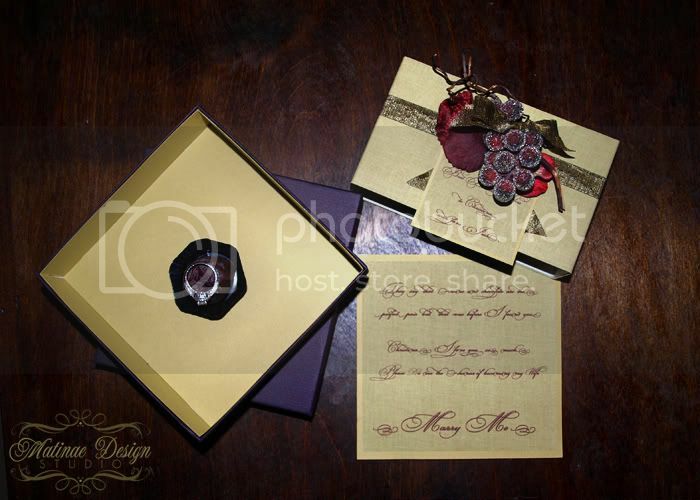 Here are the pictures that I took of the box (with my engagement ring) before handing it over to Josh. And in case any of you were wondering...Christina said "YES!". We also were contacted by two wives that wanted something more "edgy" for their husbands. 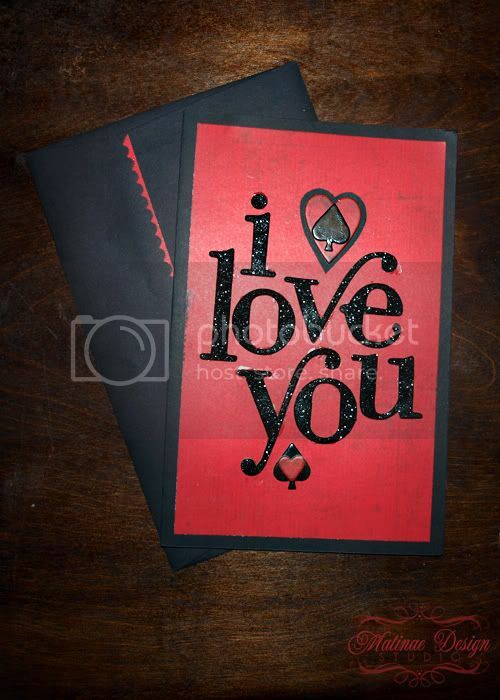 The first one needed something that was poker themed as she wanted the inside to say "You are the King of my heart! Thanks for giving me a full house!" which we thought was totally adorable. 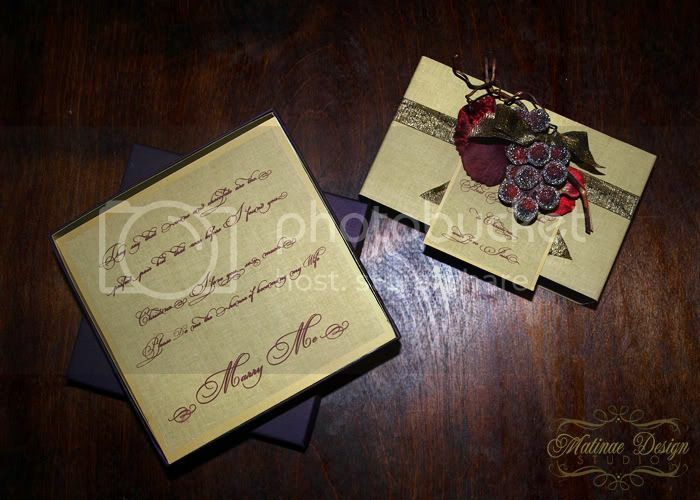 She will be giving this to her husband on Monday along with her boudoir album...he is one lucky guy! The other wanted a card that incorporated edgy metal elements. 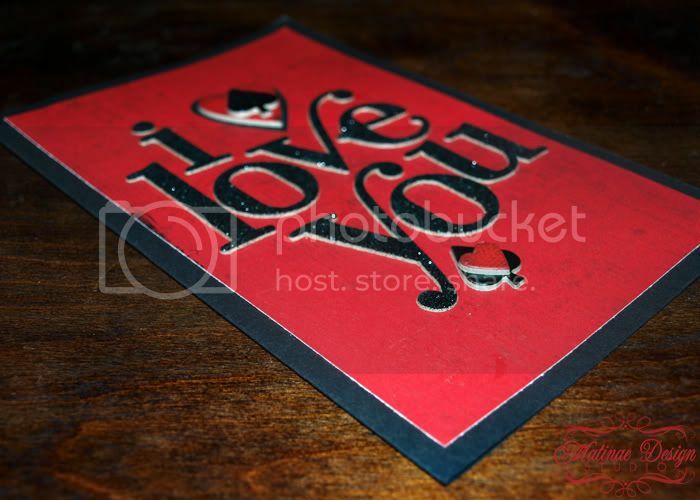 We used silver metal sheets, mesh, metal die cut letters, and distressed paint to create this card. Next weekend I'll be posting pictures of a candy buffet that we coordinated that is going to be set up for a "mommy and me" club's Valentine's Day party!